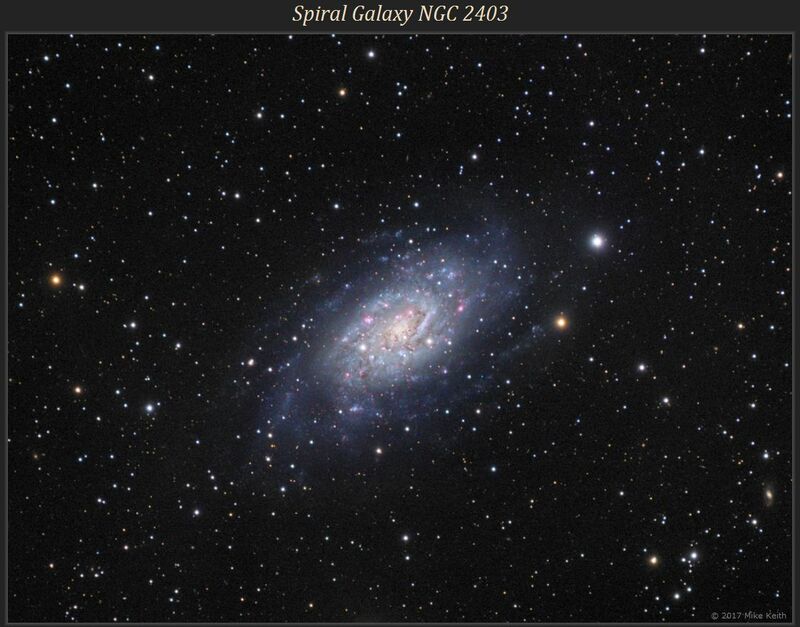 NGC 2403 is a large and bright spiral galaxy in Camelopardalis, fairly closeby at a distance of about 11 million light years. 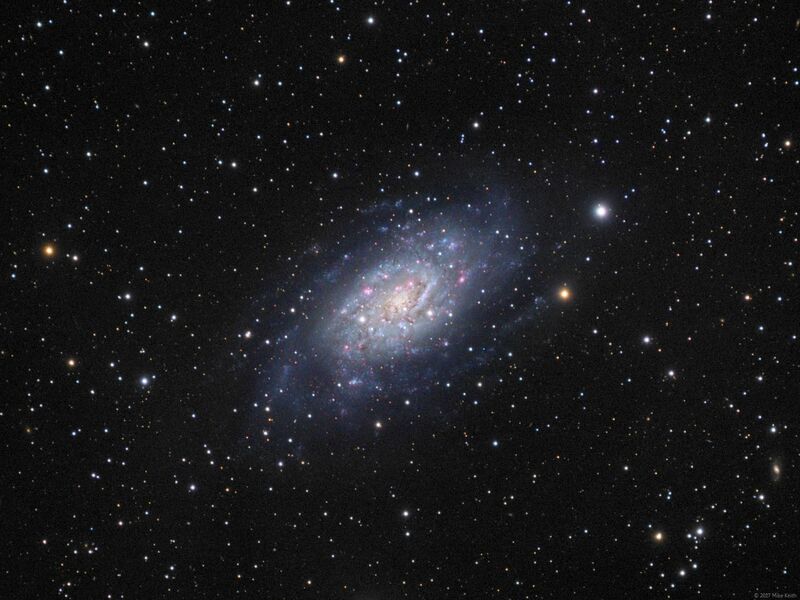 Notice the many small pink/red nebulae inside NGC 2403; the largest of these, just to the left of the center of the galaxy, has its own NGC number (2404), having been discovered by Guillaume Bigourdan in 1886. The small yellow spiral galaxy in the lower right of the image (very near the right edge) is UGC 3898 at a distance of 300 million light years.